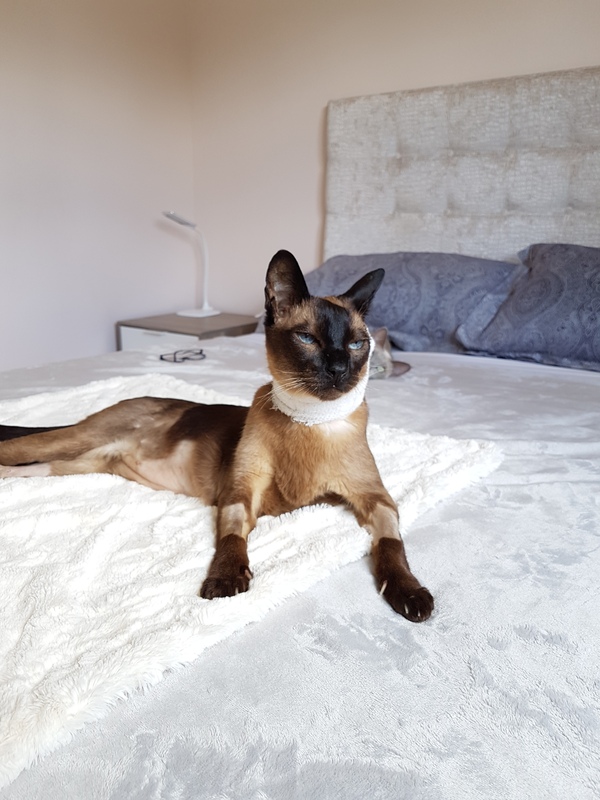 Finn is a lovely elderly gentleman Tonkinese who was referred to the Lumbry Park Internal Medicine team for investigation into hepatopathy and nausea and inappetance. 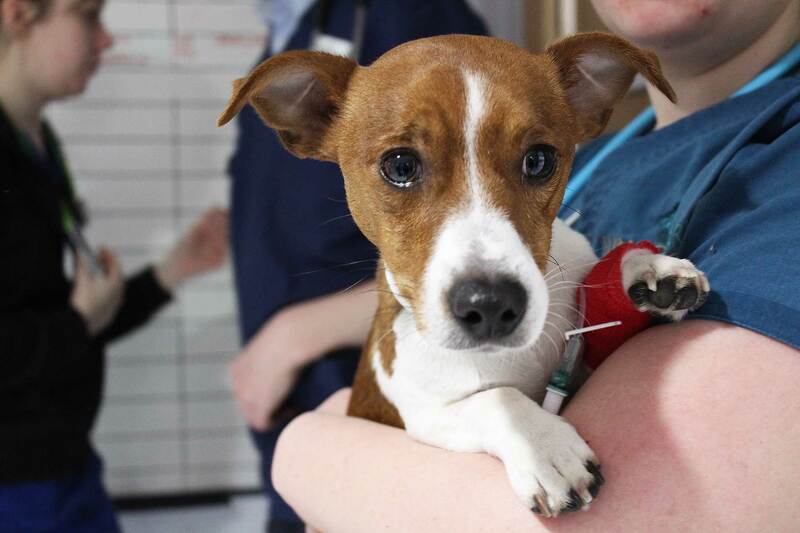 Finn had an elevation in his liver enzymes which required further investigation. 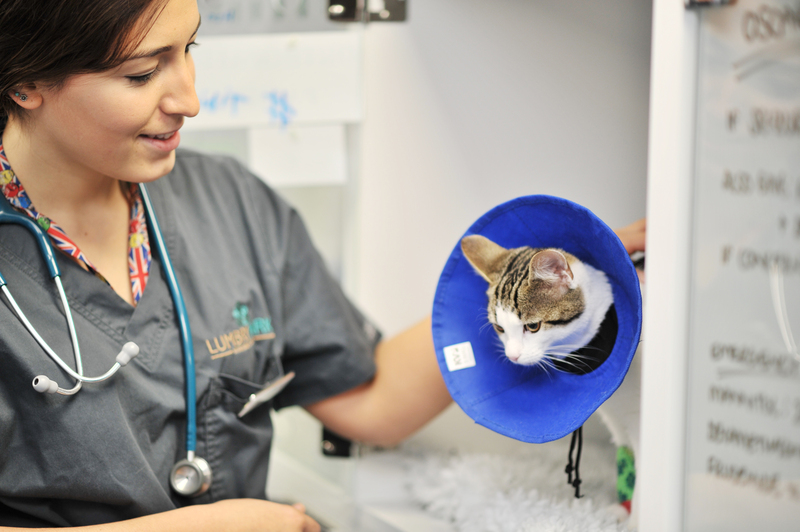 Abdominal ultrasound with the diagnostic imaging team revealed a condition called triaditis – a syndrome of inflammation between the liver, pancreas and intestinal system in cats. It often has a bacterial origin and this was confirmed in Finn’s case. Ultrasound findings showed severe inflammation and it can cause abdominal discomfort but can be completely controlled with medication. Finn’s owners were extremely dedicated to gold standard medical care for Finn and were as worried about good nutrition allowing good healing and ease of administration of medication as we were. They therefore consented to placement of an oesophagostomy tube. 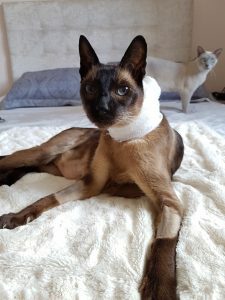 Finn can be seen in the photos modelling his cool neck bandage covering the feeding tube as it enters to go into his gastric tract and is not bothered by its presence at all. The tube has made a huge difference to his owners’ ability to give him a long course of medication reliably and feed him extra if required to help the healing process. It has been in place for 4 weeks and can then be removed conscious with no irritation to Finn at all as he is a star patient. 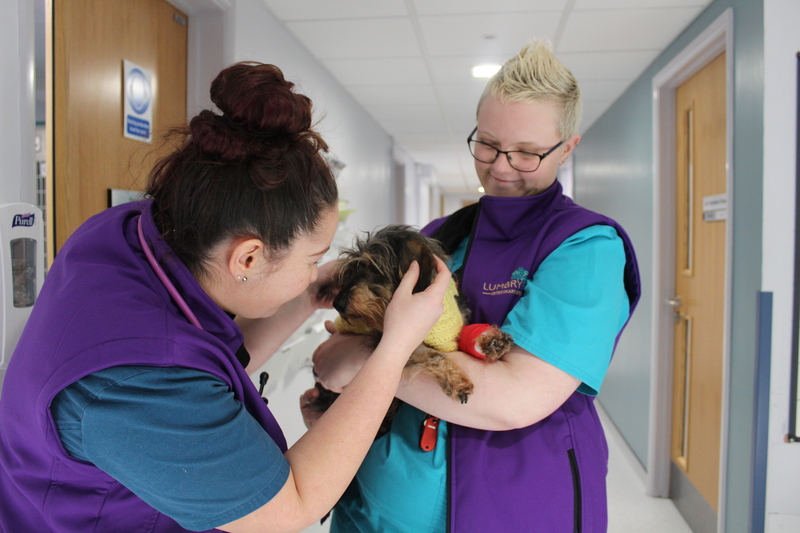 We are pleased to report Finn is doing very well on his medication regime to control his infection and should make a full recovery though will require monitoring in the future for flare ups of his pancreatitis. He has been a pleasure to have at Lumbry Park and the whole team are delighted with his progress. He is being watched carefully by his sister as he recovers at home as you can see in the photos!